has met all legal requirements established by Congress for a Federal National Corporation. 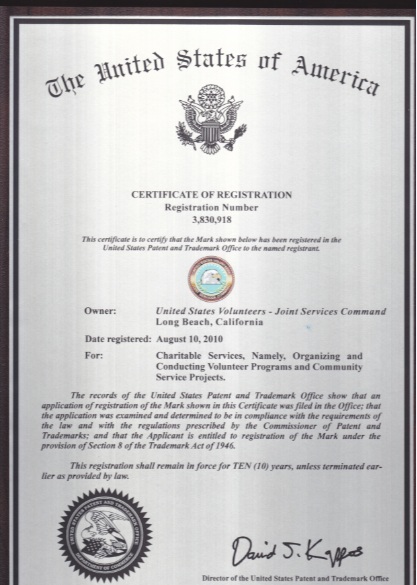 The UNITED STATES VOLUNTEERS-JOINT SERVICES COMMAND is identical in scope and legal standing as the Civil Air Patrol and the US Coast Guard Auxiliary. and the USCG Auxiliary appoint their respective Commanders in accordance with their Corporate Charters.